Experiencing less than stellar performance from your Porsche 911, 924, 944, 968, Boxster, Cayenne, Cayman, or the Panamera and considering substituting old parts using recycled auto parts and don’t know where to find them. AutoPartSearch.com has access to thousands of OEM and Aftermarket used auto parts for all makes and models of Porsche. We offer only the finest used car parts available from our auto salvage yards for you to purchase online. Don’t see your part listed on our site? We guarantee we will do the work for you in locating the components you need to make your replacements quick and easy and you simply won’t believe how much money you save on repairs. Take advantage of our easy to use search feature to locate your Porsche used car parts and get your fine performance car back out driving in the fast lane. Hey! What if I need to buy new OEM or AfterMarket Auto Parts? New OEM and Aftermarket parts are certainly available to be purchased on our site. Choosing OEM parts will be a direct match to your malfunctioning parts and warrantied by the manufacturer. They are also our most expensive option. If your Porsche is an older model there is a good chance the OEM part may not be available due to discontinuation of manufacture. Top-Quality Aftermarket Parts are another option we offer to buy new parts and you will want to make sure these parts are the correct fit. 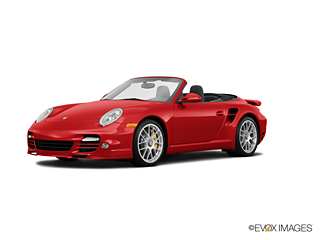 Our Aftermarket parts choices are great for adding custom features to your Porsche. You may contact us directly for more details about purchasing one of these options. How can your parts purchase help save our environment? When you use recycled auto parts you are helping to keep our planet clean and healthy. The auto salvage industry keeps tons of reusable parts from becoming waste products before their life cycle is completed. Our company is dedicated to preserving our planet and making it a cleaner place for generations to come by offering these parts for purchase to you the consumer.